This week, the Turks cast their votes in a historic constitutional referendum which appears to have granted controversial President Recep Tayyip Erdogan a significant expansion of executive power. Notably, a “yes” vote would eliminate the post of the Prime Minister, which formerly served as a balance to presidential authority. As official votes are counted, exit polls indicate that Erdogan’s “yes” campaign leads at 51.3%, with approximately 600,000 votes still to be tallied. But with such a slim victory, Turkey faces a complicated cluster of problems likely to reignite fissures between the Turkish government and several domestic parties which oppose Erdogan’s plans. Although the media is quickly hailing the referendum as a victory for the “yes” campaign, the final votes hold the potential to tip the scales back towards a “no”. The “Yes” vote would essentially transform Turkey’s parliamentary system into an executive presidential system. 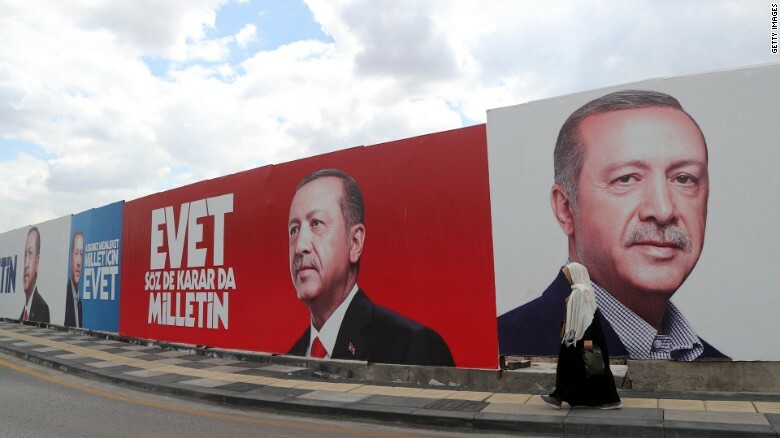 Many of the campaign’s opponents, overwhelmingly including residents of Turkey’s three largest cities – Istanbul, Ankara and Izmir – fear that concentrating too much power in the hands of a man already disparaged by many in the West as an autocrat, an unreliable partner, and a man with pretensions to acting as a neo-Ottoman sultan bodes poorly for Turkish stability. While most have focused on the outcomes of a ‘yes’ victory, few analysts have looked at the effects on Erdogan’s future – and that of the Turkish state – if the final votes tip the polls towards the ‘No’ option. So, let us consider both outcomes in turn. The ‘Yes’ vote would lead to the concentration of power into the hand of one man via the removal of the Prime Minister. The campaign was led by the president himself ― who effectively rules the country through a deliberate misreading of the nation’s constitution ― and claimed that the proposed changes would bring stability to the country. Although stability is desperately needed in Turkey, many fear that the changes would only ensure that the current president can rule indefinitely. For those who fight for Western-style democracy, this would be a nail in the coffin for the hope that Erdogan’s slide towards authoritarian rule could be reversed. Moreover, a ‘yes’ vote would have serious geostrategic implications for Turkey and the region. Situated on the crossroads between Europe and Asia, Turkey shares land borders with several Arab states and Iran as well as a maritime border with Russia at the strategically important Black Sea. Most analysts are concerned that the “Yes” vote will push Turkey further away from the West, Russia, and longstanding regional allies, inevitably leading to problems for Erdogan himself. Since the Arab Spring, Turkey’s relationship with its Arab neighbors has been precarious at best. Culminating with the overt and covert support for various ‘rebels’, Turkey has been found to have supported terrorist groups in Syria including the Islamic State. While Turkey’s meddling was formerly only felt in the Syrian north, where it remains locked in conflict with Kurdish forces, Erdogan’s expansionist ambitions grew to include the Persian Gulf and even Africa with establishment of new Turkish military bases in Qatar and Somalia. Such military adventurism quickly raised the alert in some Gulf Arab states; the UAE, for example, saw such move as direct competition to its own regional power and influence, and has strongly opposed Turkey’s ambitious expansion. Given the referendum’s result, this trend shows no sign of slowing. With the celebrated EU-Turkey agreement on refugees in 2016, diplomatic relations with Europe temporarily appeared to be on the upswing. However, after a year of internal dissent and terrorist attacks involving immigrants, the EU changed its tune toward Turkey and Erdogan has returned the favor. Just days before the referendum, the Turkish President stated that relations with the EU were at an all-time low. Internally, rabid anti-EU rhetoric became an effective tool for collecting popular support ahead of referendum. While a notable cooling began during the Obama administration, US–Turkish relations also took a nosedive following the attempted coup d’etat in Turkey last July. Erdogan openly accused the United States of orchestrating the attempt, while Russia reaped the credited for warning the President – and potentially saving his hide. 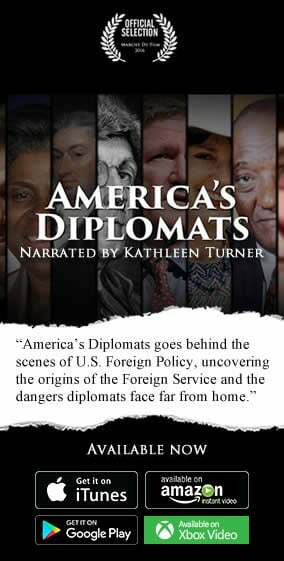 To this day, the Turkish government continues to insist that America extradite Erdogan’s main opponent, the Pennsylvania-based Fethullah Gulen, whom he considers the coup mastermind. Inside Turkey the counter-coup purge from the military, civil service, and universities continues unabated and runs in parallel with the crackdown on Kurds, journalists, dissidents and other opposition figures. Erdogan’s grab for power would create further complications in an already shaky relationship. Although Russian-Turkish ties have warmed significantly since the 2015 Turkish downing of a Russian fighter jet, as evidenced by Russia’s role in warning Erdogan of the coup attempt against him in July, their support for opposing sides in the Syrian civil war create a minefield of challenges for a closer diplomatic relationship. Since the coup attempt, a landslide of internal troubles has plagued Erdogan, including a series of terrorist attacks hitting the country’s two major cities, the capital Ankara and the cosmopolitan Istanbul, and the assassination of Russia’s Ambassador to Turkey last December. The recent intensification of Turkish military actions against the Kurds, which have led to an escalation of activity in Syria, will certainly not help this dynamic. The ‘No’ vote would deliver a short-term blow to Erdogan and push him to seek other avenues to establish stability and further his interests in the country, perhaps through compromise with political figures such as former President Abdullah Gul and former Prime Minister Ahmet Davutoglu, two key figures from his own ruling AKP party who have grown more distant from Erdogan over time. Further, the ‘No’ vote would help reduce public resentment against the President and ensure that Erdogan does not meet the fate of his neighbors, such as Assad or Hosni Mubarak, in the longer run. Indeed, he would be well advised, should he fail to reach compromise and stabilize the country, to seek a suitable successor rather than seek to remain in office interminably and invite a future Turkish Spring. Such an uprising would hardly be a surprise in the face of growing social, political and economic issues. Shehab al Makahleh, a Jordanian political analyst and director of Geostrategic Media Middle East.